Can Google Now take on Apple’s Siri and win? One of the most interesting additions to Google’s Android platform at this week’s I/O Conference in San Francisco must be Google Now, a new voice-activated personal assistant that aims to put the most relevant information users want directly on their screens at precisely the time they want it. On one level, Google Now is a direct competitor with Apple’s Siri. After all, they can both interpret spoken commands and try to pull up real answers and information directly, rather than making users engage in a conventional Web search or fire up an app. But Google Now is also more than that, putting personally-relevant information just one step away from almost anything Android users are doing on their device. But unlike Siri, Voice Actions can’t reply directly with specific information without having to send users off to another service. If you ask Siri how many feet in a kilometer or what year Barack Obama was elected to Congress, it’ll show you directly. Voice Actions, instead, will treat the question like a Web search and send users off to Google search. Google search may show the information directly, or it may not. As a voice-driven assistant, Google Now addresses this shortcoming in Voice Actions by integrating Google Knowledge Graph. Basically, Knowledge Graph is Google’s effort at semantic search: It attempts to understand the intent behind a user’s question and provide a direct answer by tapping into pre-compiled databases of information. (This is the same approach used by Wolfram Alpha, which provides a lot of the brains behind Siri’s answers.) Knowledge Graph started appearing in Google’s Web-based search results last month, but it was an open secret that the real application for semantic search capabilities lies in mobile devices, where users don’t have the screen real-estate (or the interface tools, necessarily) to plow through a bunch of search results. It also means Google potentially has end-to-end control of users’ search experience: Google isn’t just responsible for directing searchers to the information they’re looking for, it can supply that information directly. If you’ve ever been in a room with someone playing with (erm, using) Siri, you probably have an idea just how irritating a voice-driven personal assistant can be. So Google Now isn’t limited to just a voice-driven interface. Knowledge Graph will also be part of Jelly Bean’s default Web search. Whether you’re searching via voice or by text input, Google will try to augment the results with Knowledge Graph, and sometimes default to them exclusively. As with Siri, the quality of answers Google Now provides comes down to the accuracy of the speech recognition, and the availability of pre-compiled information to provide answers. If a question is well within the bounds of data Google is equipped to provide — one of Google’s live demos was real-time sports scores, for example — Google Now will probably perform well. If you’re looking for a list of Roman Emperors who committed suicide (hey, you might be studying for pub quiz on the bus, right?) Google Now might fall down. But so might Siri. Google Now sports a series of ten “cards” that can automatically keep themselves updated with information you might find handy, based primarily on your location, your search history, and personal profile information Google has compiled about you over time. 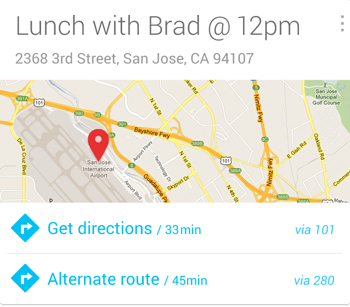 Basically, think of Google Now cards as a dashboard of personalized Google services that constantly update themselves based on your location, searches, calendar, and other data. Google Now cards will be available directly from Jelly Bean’s lock screen and from the Home screen, and users can set priorities for different cards cards — stack the deck, if you will — so the information they want on top is more likely to be on top. For travelers, that might be the Translation or Places card; for soccer fans it might be the Sports card; for commuters it might be the Traffic or Public Transit cards. The set of ten cards is just for starters: Google says more card types will be coming to Google Now over time. The idea behind Google Now cards is to provide exactly the information people want on their mobile devices at the exact moment they want it. For instance, while you’re out and about, Google might note that when you’re near work, you’ve tended to search for Thai restaurants around lunchtime. So, on a workday, the Places card might pre-load itself with information about nearby eateries when lunchtime rolls around. From the Places card, users could jump directly to Google Maps, or pull up any available reviews, or even make a reservation. (Remember, Google bought Zagat.) If you’re travelling, Google Now might take that a step further: Not only might the Places card already have looked up nearby eateries when the local lunch hour rolls around, but the Currency card might be all set with the local conversion rate and the Translate card may already be set to the local language. And, of course, Traffic and Public Transit get updated all the time based on users’ locations. Google Now Cards can get even more specific, or even creepier, depending on your point of view. If you use Google’s synced calendar, the Next Appointment card will consider local traffic data as well as your current location when calculating when to remind you about the appointment so you can arrive on time. Google does all this by tracking users’ location and synced calendars, as well as search and Web history. The initial set of ten Google Now cards is most dependent on location information — nine of them (Traffic, Public Transit, Next Appointment, Flights, Places, Weather, Translation, Currency, and Time at Home) all rely on users letting Google track a Jelly Bean device’s location. In addition, the Traffic, Flights, and Sports cards rely on data gathered via searches and Web history, and Next Appointment relies on Google’s calendar synchronization service. So, while Google Now cards are at a basic level just gateways to other Google services, they potentially make Google Now considerably more valuable as a personal assistant than Apple’s Siri. Not only can they immediately provide personalized, directly relevant information to users at any time, they don’t require any voice interaction — kind of handy if you don’t want to announce your intentions to everyone in earshot. Of course, Jelly Bean isn’t shipping until next month, and won’t be available on the majority of existing Android devices for quite some time — if it ever becomes available at all, on some of them. The quality of semantic searches depends on how well queries align with the data that’s been painstakingly compiled and inter-related by the teams behind the technology. If you ask a question where the knowledge bases have a wealth of information (let’s say the “mass of Jupiter” or “what year was Benjamin Franklin born?”) you’re in luck. If you ask a more subjective question or something outside the boundaries of the databases (“who was the most important Portuguese politician of the 1980s?” or “why are all cats born with blue eyes?”), you’re probably back to crawling through search results and articles. Apple, Google, and their search partners will be constantly adding new knowledge to their systems, so the range of queries they can handle directly will be growing all the time. Nonetheless, it’s still a tiny, tiny, fraction of human knowledge — and it’s hard to blame the developers for focusing on everyday needs and easily-quantifiable, low-hanging fruit. Nonetheless, the broader semantic search services become, and the more used, the more companies like Google and Apple become end-to-end providers of basic, everyday information — potentially to the exclusion of conflicting data or other points of view. That’s a long-term issue. 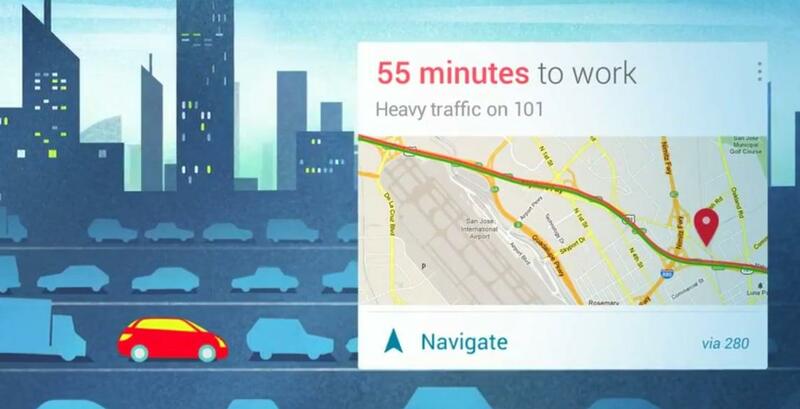 More immediately, Jelly Bean users will notice that Google Now cards are almost exclusively focused on perceived needs of commuters and travelers — traffic, weather, transit, etc. Folks who aren’t out and about very much may not find Google Now cards very useful. Google says it plans to add more cards in the future — and it’s no stretch to imagine Google will roll in direct support for services like Google Play and Google+. However, Google has made no mention of allowing third-party developers make their own cards for Google Now — so don’t look for Google Now cards to help you keep up with your friends on Twitter or Facebook, or link in to services that aren’t part of the Google fold. Which brings us to perhaps the most important point: Google Now’s “intelligence” is linked exclusively to services of Google and its partners. If you prefer to do get restaurant recommendations from Yelp, check in to locations using FourSquare, or scout for local deals using Groupon… well, none of that information is going to make Google Now cards any smarter. And if you want to use a search engine (like Bing) instead of Google, Google Now cards can’t leverage your search history to help make Google Now more relevant. Google no doubt looks at Google Now as a way to make its services even more appealing to mobile users; to folks who prefer other services, it’s just one more thing in Android that doesn’t do them any good. 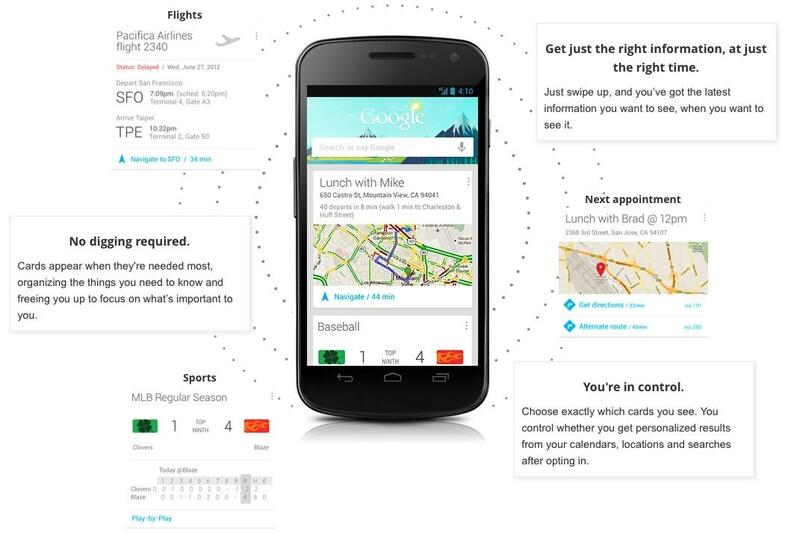 Google benefits from Google Now in three main ways. First, it wants to prove it can keep up (and even jump ahead) of Apple on the mobile personal assistant front. And Google has a good shot at that: After all, Google is the market leader in search, so it has the strongest foundation on which to build a market-leading mobile search. Second, Google Now could become a distinguishing feature for Android, one that helps identify it as something more than an imitator to Apple’s iOS. If Google Now takes off, it could be a serious differentiator that makes Android different from other mobile operating systems. For years, Android has been carrying the albatross of being a runner-up to Apple’s iOS. 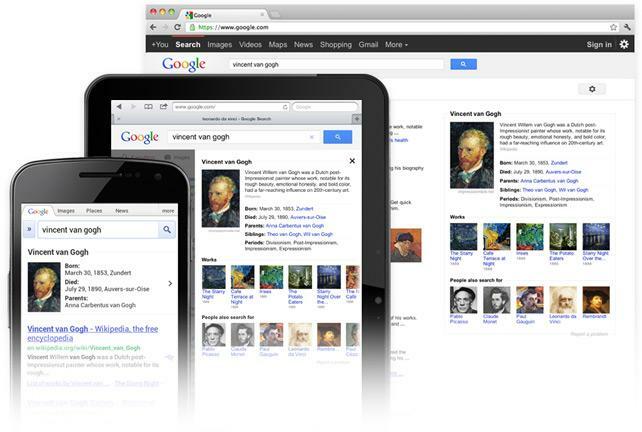 If Google Now proves successful, Google could find itself being copied by the likes of Apple and Microsoft. Wouldn’t that be delicious? Third, of course, is that Google Now encourages more Android users to potentially disclose vast amounts of information to Google. Taking advantage of Google Now means users send Google constant updates about their location, Web history, calendar items and — indirectly for now but eventually directly — social circles, likes, dislikes, and a wealth of other demographic information. Google will collate all that information and use it to sell advertising — and, probably sooner than later, that advertising will appear in Google Now. Remember: Google doesn’t make much money from Android directly. Google is primarily in the business of selling advertising, and to sell those ads for top dollar, Google wants to know everything about Android users. Of course, many Android users already send all this information to Google. But those who value their privacy — or simply want to use other services — might view Google Now as one more step away from Google’s “don’t be evil” mantra. Or is that “former mantra,” now?